While browsing Digital Citizenship sites, I stumbled upon a great digital book that gives a great overview of the web and the tools we use to explore the many resources it holds. If you are interested in better understanding how the web works, or want to be able to more carefully guide your students as they explore, this is a short book you will want to read. 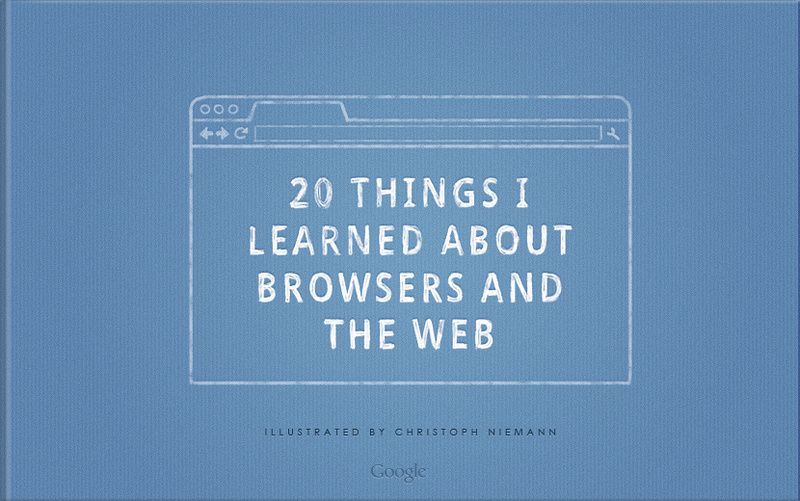 20 Things I Learned About Browsers and the Web was written by the Google Chrome team. As such, there is a definite emphasis on Google products. I suggest this as a must read for Google Apps for Education schools. In the classroom, this informational text could be a good tool to combine reading and technology literacies. A possible activity might be to seek out potential biases in the text toward Google products.